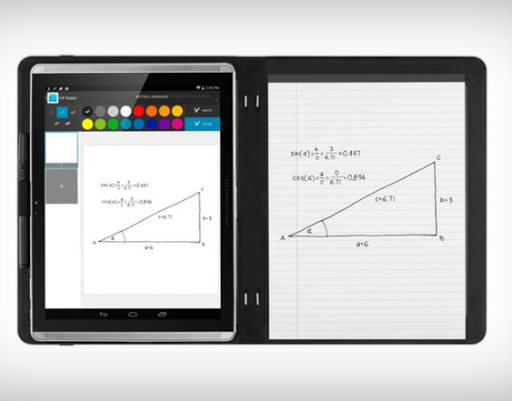 HP has recently introduced a new line of business tablets (including a 12 inch one) under the name Slate Pro. I had a chance to play with those tablets. Some of them are running Windows while others are running Android but all models are targeted to the business sector and are designed in an extremely elegant fashion. All models come with an integrated pen and some of the android ones are also equipped with an interesting technology called Duet Pen. In short, Duet Pen lets you write stuff with a real pen on a piece of paper and copies it into the digital form. I can think of enough business scenarios where such technology can become handy, however the technology does require to place the paper or notebook in a specific location next to the tablet, something that will limit the usecases.